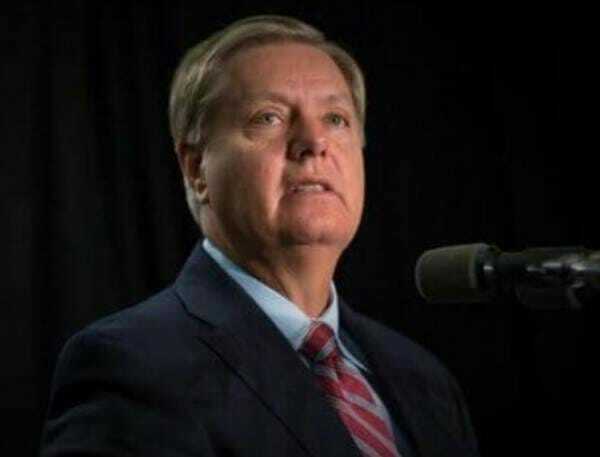 Senate Judiciary Chairman Lindsey Graham (R-SC) sent a letter to Attorney General Bill Barr on Friday requesting documents related to discussions between FBI and DOJ top brass about removing President Trump via the 25th Amendment. Deputy Attorney General Rod Rosenstein in May of 2017 spoke with DOJ and FBI officials about wearing a wire and secretly recording President Trump to be able to build a case that Trump is unfit to hold office. 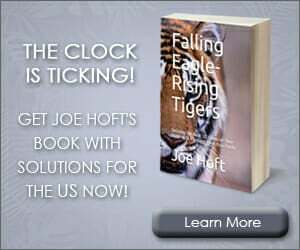 DAG Rosenstein began plotting Trump’s removal shortly after FBI Director Comey was fired, The New York Times reported last September citing memos penned by then-Acting FBI Director Andrew McCabe. Disgraced FBI official Andrew McCabe then sat down with CBS’s “60 Minutes” which aired last month. McCabe told CBS that he ordered two investigations into President Trump because he wanted to know if Trump fired FBI Director Comey to impede the Russia investigation and was Trump acting on behalf of the Russian government. 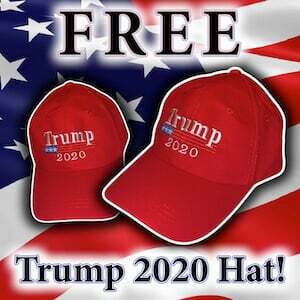 There was ZERO evidence that President Trump was working on behalf of the Russian government and there was zero evidence Donald Trump conspired with the Russians to win the 2016 presidential election when McCabe opened these two investigations. 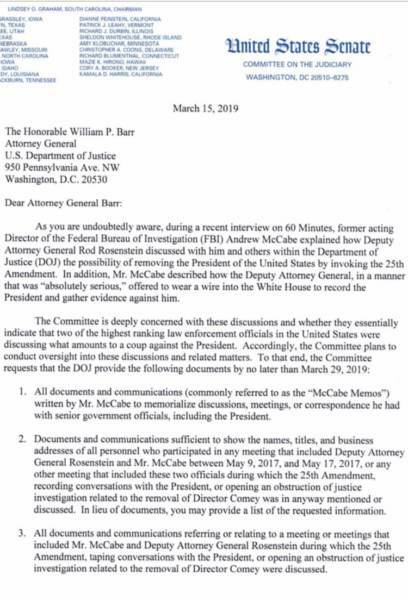 McCabe also went into detail about DAG Rod Rosenstein’s plot to wear a wire and record President Trump. “I never get searched when I go into the White House. I could easily wear a recording device,” Rosenstein told McCabe. 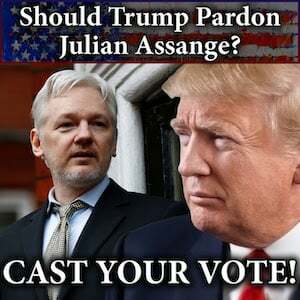 Chairman Graham said his Committee plans to investigate the coup plotters and gave Bill Barr a deadline of March 29th, 2019 to provide a list of requested documents. As you are undoubtedly aware, during a recent interview on 60 Minutes, former acting Director of the Federal Bureau of Investigation (FBI) Andrew McCabe explained how Deputy Attorney General Rod Rosenstein discussed with him and others within the Department of Justice (DOJ) the possibility of removing the President of the United States by invoking the 25th Amendment. In addition, Mr. McCabe described how the Deputy Attorney General, in a manner that was ‘absolutely serious,’ offered to wear a wire into the White House to record the President and gather evidence against him,” wrote Graham. 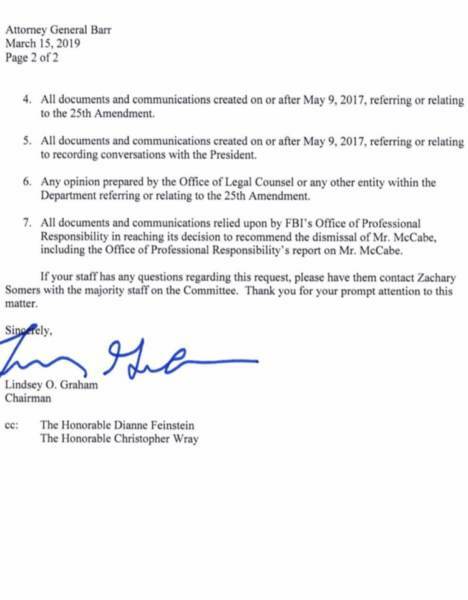 Some of the documents requested include McCabe’s memos, names of people and communications that included Rosenstein and McCabe between May 9, 2017 and May 17, 2017.